Becky Pippert addresses the crowd on the final day of the European Leadership Forum. In the past six weeks I traveled in or through 6 different countries. It started at the end of June with a trip to Wisla, Poland for the European Leadership Forum. This conference features training and workshops from some of the best Christian teachers and leaders you will find anywhere. 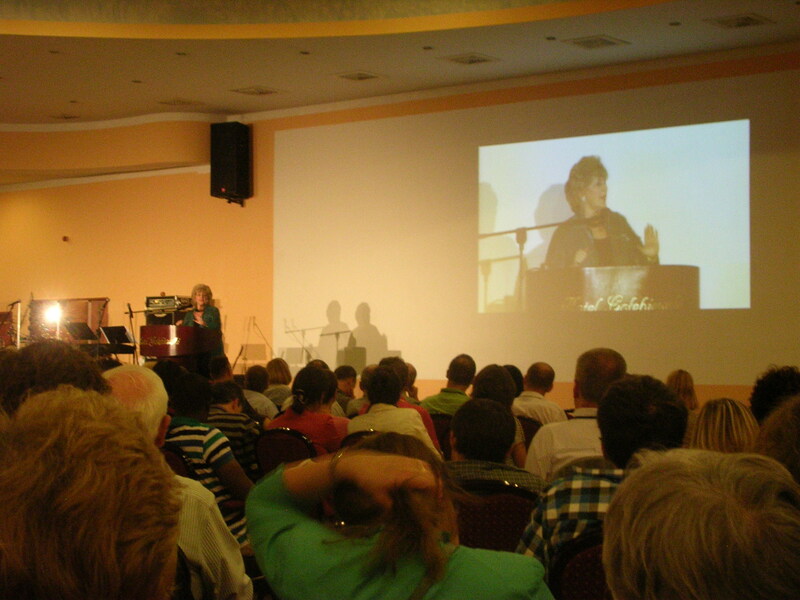 I previously attended this conference four times, all of them in Eger, Hungary. Because of the continuing growth of the conference, this year it was held at a hotel in Wisla to accommodate the 700+ participants. I was again thrilled to listen to speakers like Becky Pippert, whose book Out of the Saltshaker remains a classic in personal evangelism. It was also exciting to hear of the initiatives that she and her husband are currently undertaking in Europe, and the incredible response that they have seen. Dr. Stephen Meyer speaking at the European Leadership Forum. 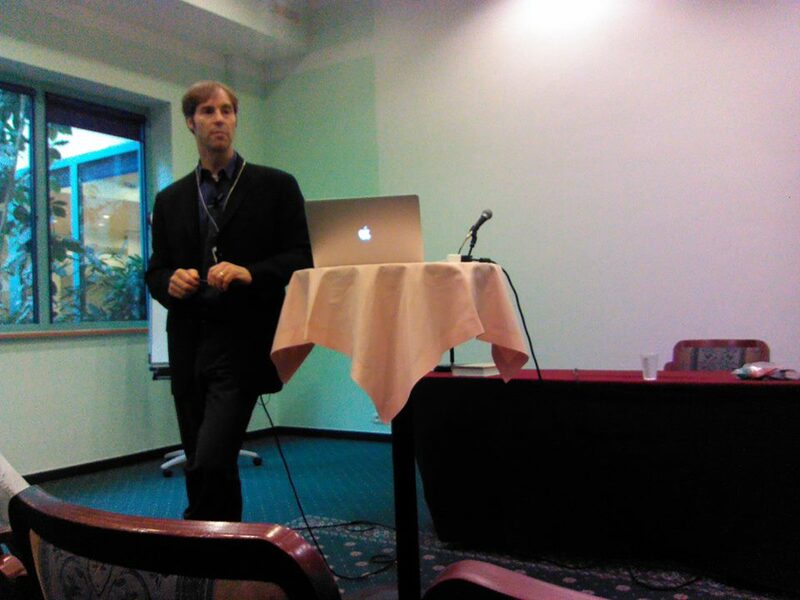 I was also inspired listening to Dr. Stephen Meyer, one of the leading scholars of Intelligent Design (ID). While this movement has been heavily criticized in the media and on the internet in recent years, I have followed ID authors for over 20 years. I believe there is strong evidence of God’s handiwork in creation, and Dr. Meyer points to that in his book, Signature in the Cell. He also has a new book out called Darwin’s Doubt, which I have not yet had a chance to read but am eagerly anticipating. After returning from Poland, I was off to the States and a week of meetings at OMS headquarters in Greenwood, Indiana. I was one of the five representatives from Europe attending the Missionary Council, an annual meeting of OMS leaders from all over the world to prayerfully discuss policies, strategies, and mission-related issues. I was excited to hear about some new initiatives at OMS among the younger generation of leaders (even younger than myself!). OMS has some gifted and creative young leaders whom I believe God is going to use to communicate the Gospel to the ever-changing world that we live in. 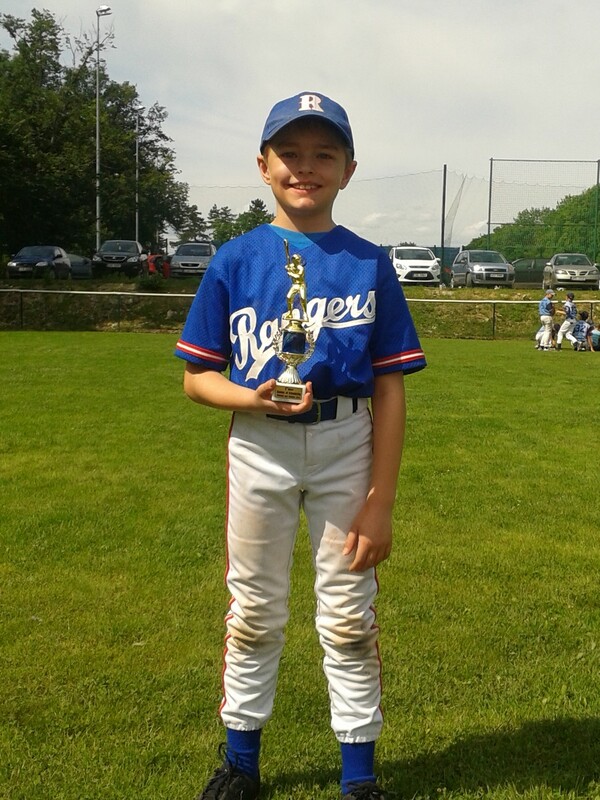 Matthew holding the team’s trophy from the baseball tournament in Hluboka. Finally, a week after returning to Hungary it was time to hit the road once again. This time it was not for a conference or a meeting, but some much-needed family time. From June 27-30 we traveled to a town in the Czech Republic called Hluboka (actually the full name is Hluboká nad Vltavou but that just seems really cumbersome and we have no idea how to pronounce it!) where Matthew’s baseball team (the Rangers) was playing in a friendly tournament against four other teams, including the Hungarian national team for his age group. During the round robin they beat the Hungarian national team with Matthew scoring the winning run in the bottom of the last inning by stealing home. We would show the video of that exciting moment, except that I got so excited during the play that the camera is pointing everywhere except at the action on the field! For the playoff round, however, the Rangers played off for third place against a team from St. Petersburg, Russia. And I CAN show you the video for that game, which I actually edited and made into a highlight video. Rather than spoiling the result, you can see the video below (if you don’t want to watch the whole thing you can skip to the end for the final score!). Fraser Family Blog Create a free website or blog at WordPress.com.